This is that time of year when I start dreaming of the spring. Of warm sunny shorts-wearing kind of days. 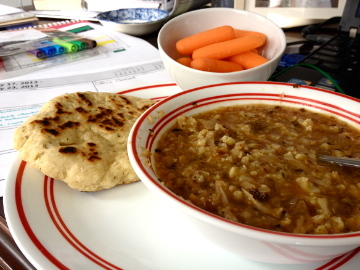 But since those days are still a ways off, I decided to embrace the cold and make some flatbread and cauliflower soup. Things that would warm me up inside and fill my belly while being comforting but not terrible for me. Plus this flatbread is absolutely delicious! Like seriously, I would finish a piece and wish I had packed another in my lunch. Oh and this soup is easy and super delicious. I have Meghan to thank for sharing this recipe...although my blender broke in the process of making this so it is not mashed cauliflower and not pureed cauliflower. Still tasted delicious though! (Soup: caramelized cauliflower soup by Sprouted Kitchen) The soup and the flatbread go really well together too..somehow the flavors really compliment each other. So, try one of these or both of them or try them together, simply enjoy! Oh and Happy Tuesday! 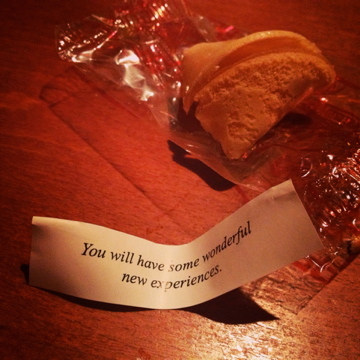 Oh I totally got a great fortune this weekend...loving the sound of this one. ...shaggy kind of like this. 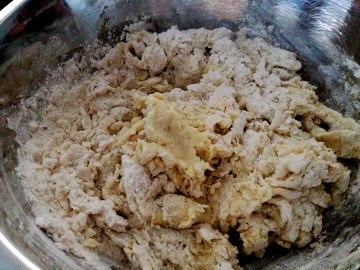 Then knead on a floured surface until it starts to spring back. Then form into a ball, cover and let it rest for just a little while. This was one of those follow the recipe right off of the computer nights. Once the dough has rested divide into four, flatten and cook on top of the stove. Enjoy that day or reheat in the toaster oven. 1. 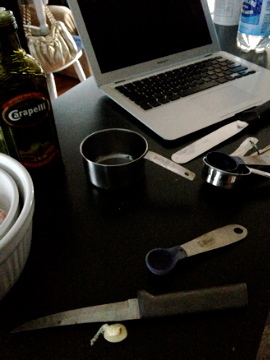 To prepare the flatbread, in a large mixing bowl, using a fork, mix together the flour, salt and baking powder. 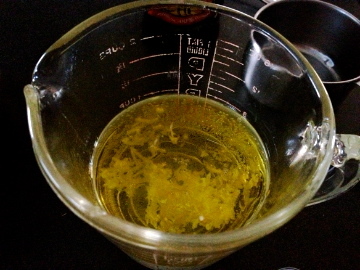 Create a well in the center, then pour in the olive oil and about 150ml (or approximately 2/3 cup) of warm water. 2. Use the fork to gradually bring in the flour from the edge of the bowl, and add another splash of water if you think it’s too dry. 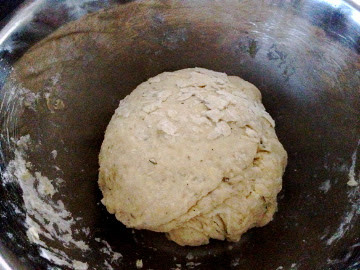 Once it starts to combine, wet your hands and use them to really bring it all together until you have a nice ball of dough. 3. 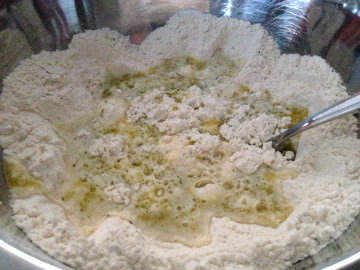 Dust your hands and a clean work surface with flour and knead the dough with your hands until it is smooth and elastic, the dough will start to "bounce" back when you are flattening it. This will take about 5 to 10 minutes. 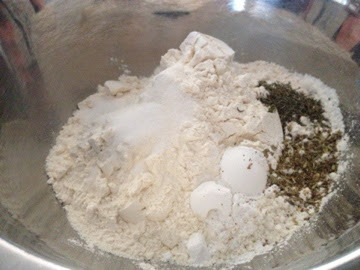 Pop the dough back into the bowl, dust it with a bit more flour, then cover and leave to relax for 10 minutes. 4. 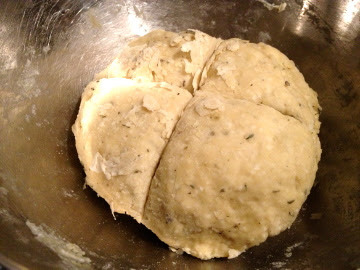 Divide your dough into 4 equal-sized balls, then lightly oil your hands and squeeze each ball between your palms to flatten them slightly. Dust with a little flour as you go, and pat and slap the dough from the palm of one hand to the top of the other. Turn and twist the dough about in a circular movement as you go and keep slapping from hand to hand – each flatbread should be about 1/2 cm thick. 5. 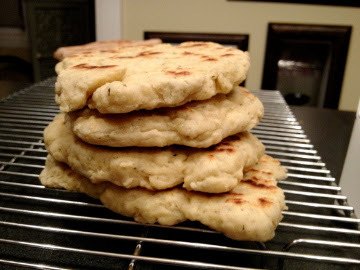 In a non-stick cooking pan, cook the each flatbread over medium heat until puffed and golden brown on each side, this should only take a few minutes per side. You don't have to cook them all the way through as they will continue cooking in the oven.